How to find your item purchase code? Your purchase code is located on your item downloads page. It’s hidden under the Download button, once you click it, a drop-down menu will show up and lead you to the “License certificate & purchase code”. If your purchase code is not working please check for blank spaces when copying and pasting the code. Please check the item you are validating. 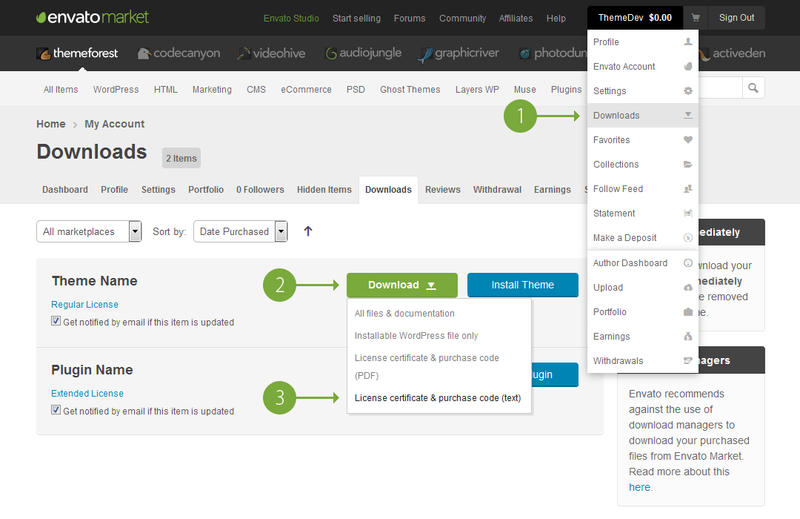 Some WordPress themes are sold with plugins included. 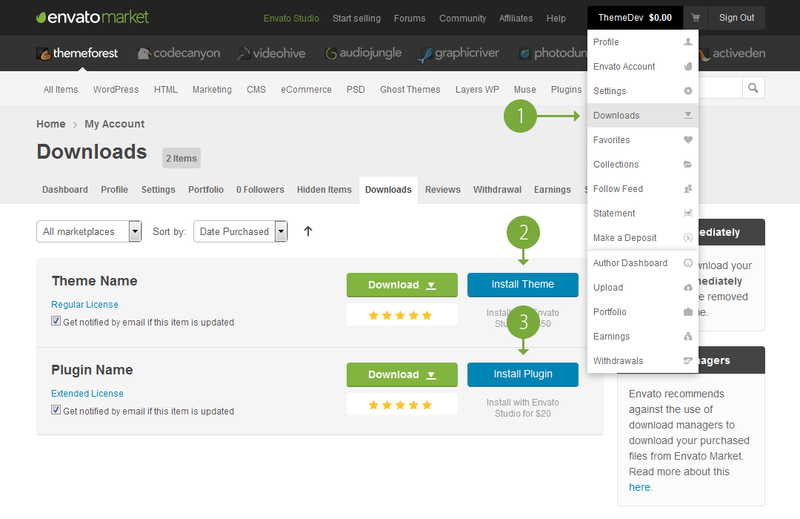 The purchase code for the theme will not work for these plugins. If you need your purchased theme or plugin to be installed please click on Install Theme or Install Plugin button located on your item downloads page. We offer express installation of our themes and plugins only. In this service you will get installation of your WordPress theme or plugin, customization of your theme as the exact look and feel of the demo website.